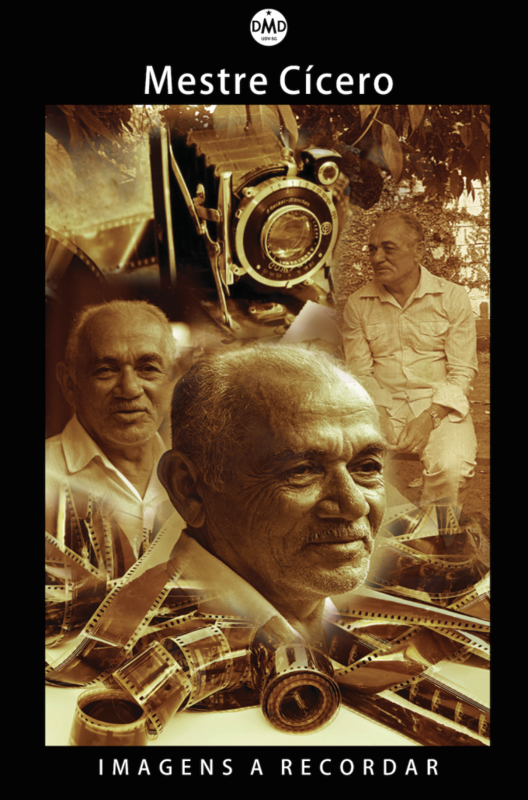 Mestre Cícero Alexandre Lopes would be 87 years old today. The Beneficent Spiritist Center União do Vegetal, through its blog, pays tribute to him by transcribing some excerpts from his biography published in the book RELICÁRIO, Imagens do Sertão, by journalist Edson Lodi *. 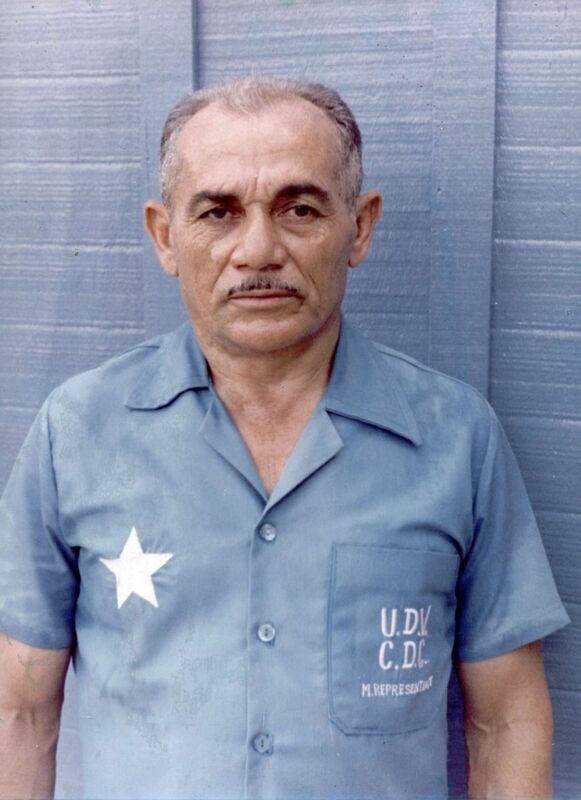 Cícero Alexandre Lopes was born on June 5th, 1929, in the state of Rio Grande do Norte. He was small in stature, under 5’5, and his body was made up of strong muscles, acquired by the arduous and constant struggles to survive. A man with a flat head, who would move slowly but steady when walking. He had inquisitive eyes accustomed to framing images and seeing beyond appearances. Keeping these images in his Northeastern heart. His character was that of a good man and his actions revealed good feelings. In his small and modest house he cultivated the habit of hosting brothers, who came mainly from the south of the country. For those that didn’t know him, his simple and direct way of speaking, essentially caboclo, would leave the impression that he was a rude man. That impression would soon vanish, when people would get close to him and perceive the affection and the attention he gave to all those that would seek him. When we look at some of the events narrated by Cicero Alexandre Lopes that somehow defined his path, something draws our attention. And it is the care that he had in examining his dreams and finding in them answers to some situations. In at least two dreams, Mestre Gabriel introduces himself to him in his clearest dimension – the one in which the dream resembles a spiritual revelation. Loyalty and love to Mestre Gabriel and to the União do Vegetal are some of the imprints, besides many others collected and exposed throughout this work, that were left to this institution and still serve as an example and foundation for the formation of new leaders. Before drinking the communion of the Vegetal for the first time, he had a dream of the Hoasca tea. This revelation marks the life of Cícero Alexandre Lopes and transforms it. In his dream he sees a tall, dark and thin man standing next to a rustic wooden table. On top of that table was a glass full of a thick liquid, which looked like buriti wine. Cicero sees himself coming. He enters the room and the man hands him the glass with the liquid. At the moment he was about to drink the cup, he wakes up. – Cicero, I went to interview a man for a story. I’ve never seen a man do what he did. He first told a story for everybody to write down. Then he told the story again so it could be recorded. When we stopped to listen to the story on the tape recorder, we found no differences between the first story he told. Not one single word was changed, it was exactly the same. The memory of Master Gabriel, in telling and retelling the same story in every detail, also drew attention to Cicero. Cicero’s attention was drawn to Mestre Gabriel’s memory. A memory that had the capacity to tell and retell the same story in all its details. Mestre Gabriel’s words have been fulfilled over time. Cicero has the honorable mission of being the main guardian of the visual memory of the recreator of the União do Vegetal, a work that stands out among so many other relevant services provided to the institution. “Each one of you has a mission within the União do Vegetal. Now, I know the mission of all. But the person themself does not know what they are taking on”. The first time he drank the Vegetal another event draws his attention. During the burracheira, he puts his hand on his forehead and realizes that he is bleeding. The feeling went away after a while and he did not pay much attention to it. When the session was over and he was preparing to leave, a small accident occurred. It was raining and dark, and Cicero slipped and slammed his forehead into Mestre Gabriel’s truck that was parked close to the place where they had drunk the Vegetal. When blood stared coming down his forehead, Cicero immediately remembered what he had seen in the session during the burracheira. Cicero demonstrated deep devotion and joy about having met Mestre Gabriel and also a profound respect for him. He stated that in order to respect Mestre Gabriel, it was first necessary to respect himself. There is in these words a kind of oath, of moral and ethical commitment. And in this love for his spiritual guide and himself, Cicero realizes that it is necessary to do things the way they ought to be done. That is, to become a serious man to better serve his Mestre. “I am here in the União do Vegetal because I saw sincerity, love and peace within Mestre Gabriel. This made me leave the lifestyle of orgies and other things I used to do thinking they were the right things. I owe him so much, I do not even know how much, for the way Mestre Gabriel welcomed me, taking me in the way I was. I was just not a thief but I was very violent and today I’m looking for patience and peace to treat people right. All of this I owe to him, this man who welcomed and corrected me. I dedicated myself to him to become a true man. I did not believe in anything, I only liked to party, play and do whatever I wanted. That’s when I met Mestre Gabriel, with his patience and courtesy. He would receive people full of vanity and other bad things. Today I realize that each of us must seek peace to then distribute it to those who need it. I ask him to give me strength in my life and that I no longer need to remove myself from the União do Vegetal. I found and I see that he deserves our respect, they are the earnings of a serious man. That’s how I got closer to him. Several times I saw his detachments in three corners at the same time. I kept looking and thinking: is it my vision? It could have been it but it wasn’t, it was him. I have no doubt that Mestre Gabriel received all the power of the Uniao, with all the secrets and mysteries. And what is our goal? To work so that one day we can all unite to one another. Cícero Alexandre Lopes was possibly the first photographer in what was once the Federal Territory of Rondônia. 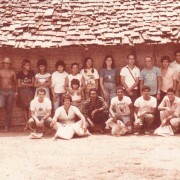 He taught a whole generation and among those people who learned to take pictures with him, are his brothers, who established a commercial branch in Porto Velho (Natal Fotocolor). He initially worked as a street photographer in town squares and other public spaces in Porto Velho, playing an important role in the popularization of photographic art in the city. No one knows when exactly Cicero started using new photographic equipment, but certainly the creativity and the fine tactile sensitivity acquired as a street photographer were extremely useful to him. There are different ways of looking at the world and of reading an image, this allows us to perceive new dimensions of the photograph that has already been seen and reviewed. For this book some photos of Cicero were selected in order to present the historical context in which they were recorded, and with it the possibility of a new understanding about them. In all the temples of the União do Vegetal there is a picture of Mestre Gabriel on the main wall. This black and white image, obtained on one of his birthdays, draws attention to those who enter his gaze. Mestre Gabriel’s forehead is lightly illuminated. Light spreads through the arch and highlights the word universal that is written on it. And it still shines on his serious face and solemn face, as if he were carrying a cross and sowing brightly colored flowers along the way. Is it the camera flash or is this light coming from his enlightened heart? 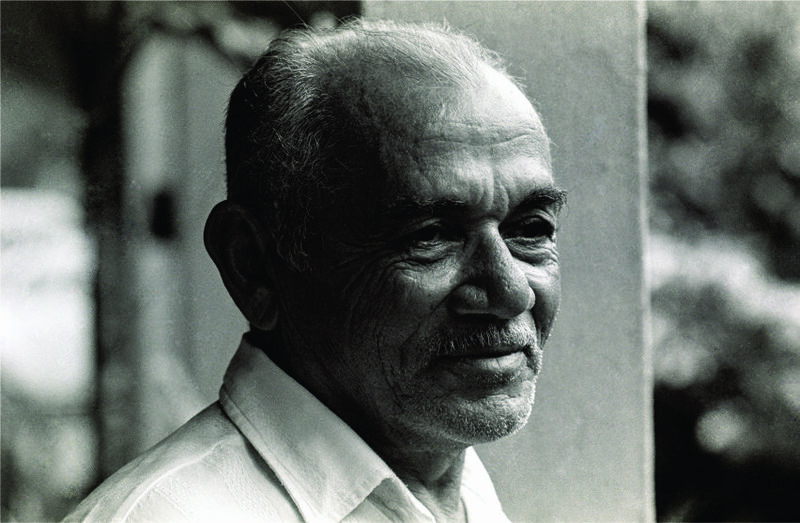 Mestre Gabriel’s firm and penetrating gaze – as one who sees the movements of the present and foresees a hundred years ahead, in synchronism with time – conveys the impression it is moving and accompanying the person who is looking at the photo. Mestre Gabriel is standing under the arch. He is upright and shows confidence, the confidence of someone who knows what he is doing. One has the idea that he is slightly inclined to the left, without losing his balance. And on his shoulders the responsibility does not seem to weigh anything more than what is necessary. The Mestre is in his fortress. 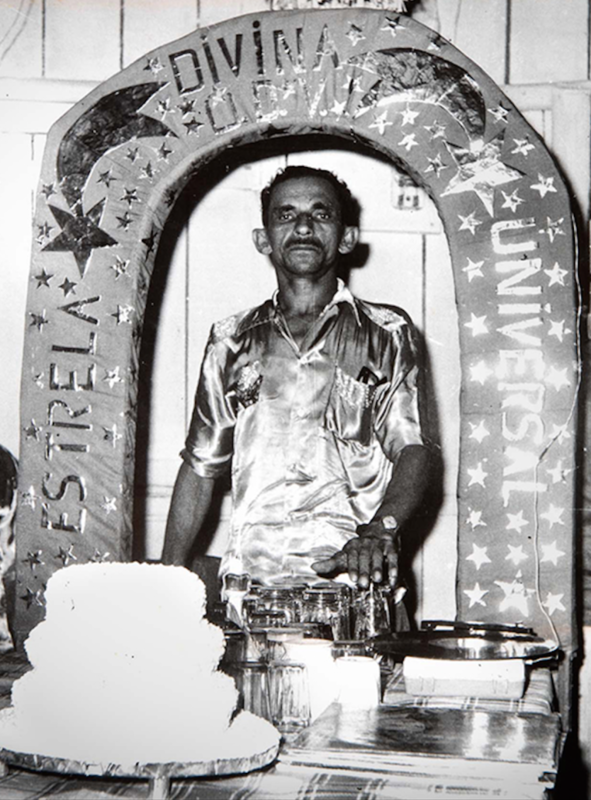 Later in 1971, Cícero Alexandre Lopes was approved by Mestre Gabriel in the contest to be a Mestre and on January 6th, 1972 he received the star of Mestre in the União do Vegetal. After that he became a member of the Council of Recordation of the Teachings of Mestre Gabriel, which was created in 1985. 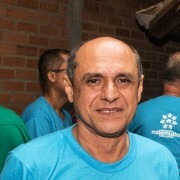 Mestre Cícero was the Representative Mestre of the Núcleo Estrela Guia in Ji Paraná, Rondonia for more than eight years. Probably, he began his Representation at this Núcleo in 1975. In this period, he participated directly in the foundation of a distribution of Vegetal in the city of Presidente Médici, Rondonia. This DAV received the name Núcleo Mestre Cícero on November 15th, 1996 and its anniversary is also celebrated on the same date as its patron, Cícero Alexandre Lopes’, birthday. This weekend, at the Núcleo Samaúma (São Paulo), during the 2nd International Meeting of the Department of Memory and Documentation, the official release of the Images to Remember Exhibition occurred. It is a work coordinated by Mestre Diro Oliveira and the Department of Memory and Documentation of the 4th Region (State of Bahia). The Exhibition will be presented in the UDV núcleos and it includes a video with valuable interviews about Mestre Cicero. * Edson Lodi is Effective Member of the Council of General Administration of the União do Vegetal. Also published on June 5, 2016.